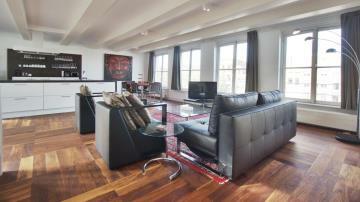 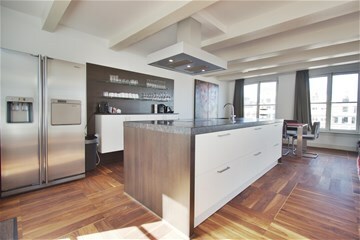 A lovely and luxuriously finished canal house apartment located at one of the most beautiful canals in Amsterdam with a spacious terrace. 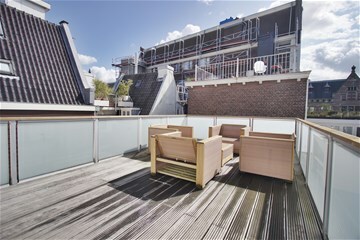 It has a surface area of 150 sqm divided over three floors. 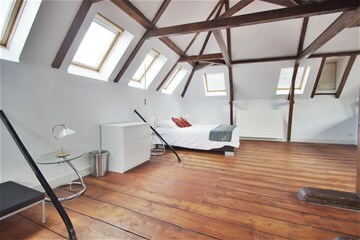 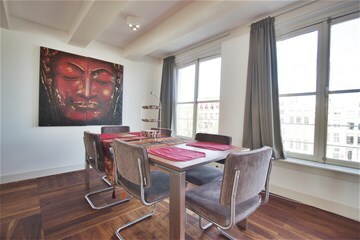 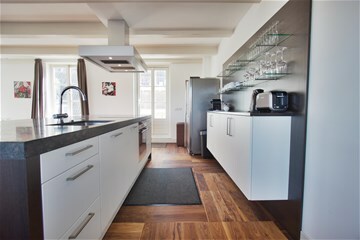 The apartment is situated between the Singel and the Raadhuisstraat close to Central Station, Dam square and Haarlemmerstraat. 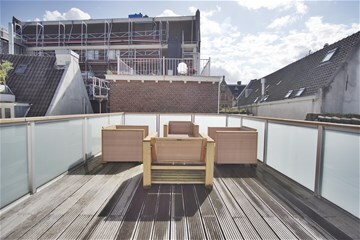 Within walking distance you will find a wide variety of shops, cafés and restaurants. 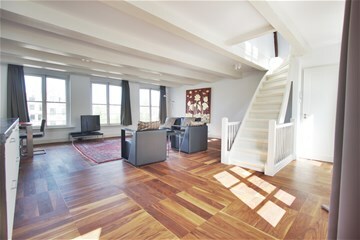 Entrance hall with stairs to living area. 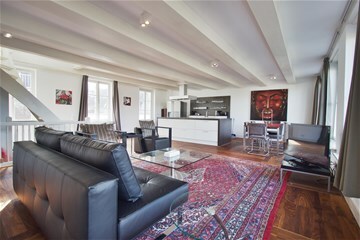 Spacious living room with many windows creating a lot of natural light to enter the apartment and enjoy the lovely canal from your kitchen or living room. 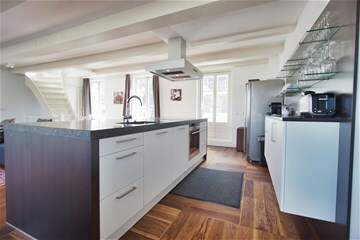 Spacious kitchen equipped with all built in appliances and lovely island. 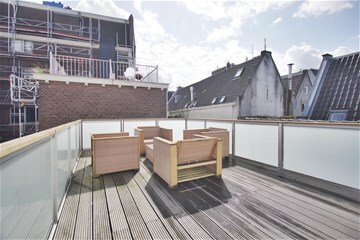 From the Kitchen access to the roof terrace. 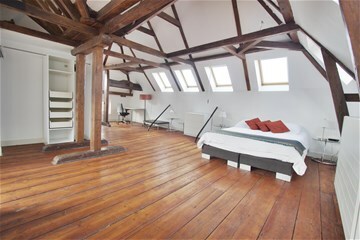 From the living room the internal staircase leading to the topfloor in the corner next to stairs also a separate toilet. 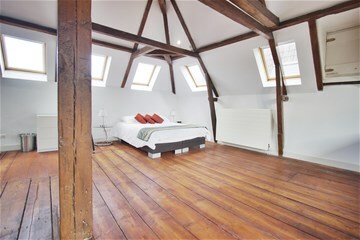 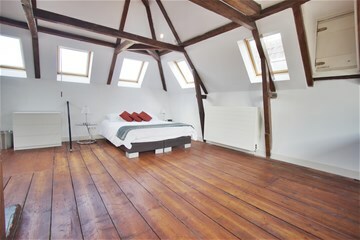 On the top floor is the masterbedroom, with possibilities to easily create a second bedroom. 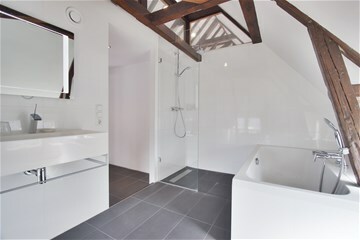 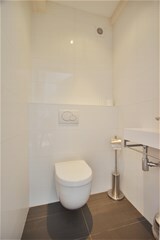 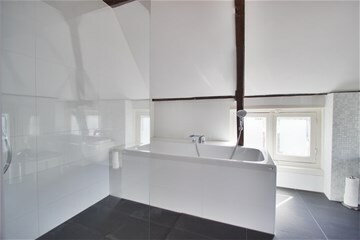 Bathroom with bathtub and shower and double washbasin.